We all have things at home that are useful but ugly at the same time. 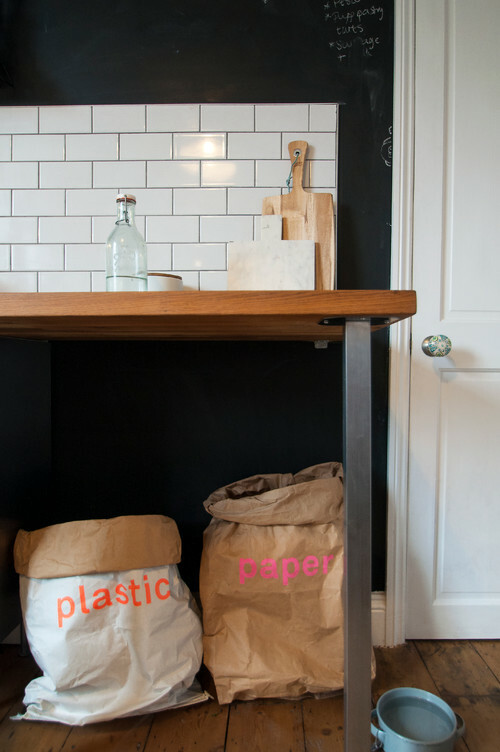 Plastic receptacles are commonplace, but generally unattractive, and other storage often leaves a lot to be desired. Don’t let practicality cramp your style. 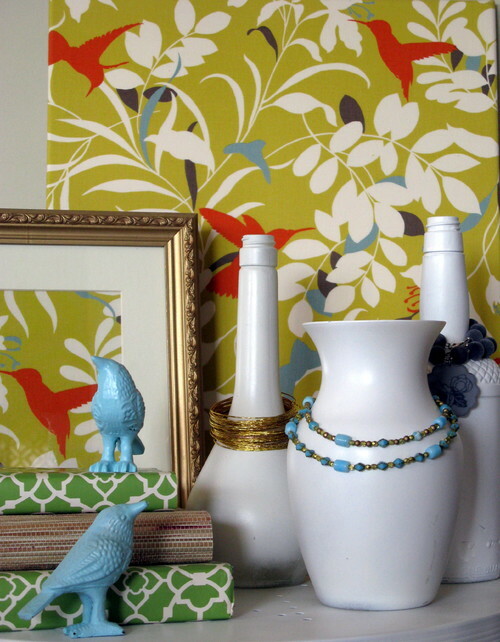 Make a few changes and get crafty to give a stylish twist to every mundane element around your home. 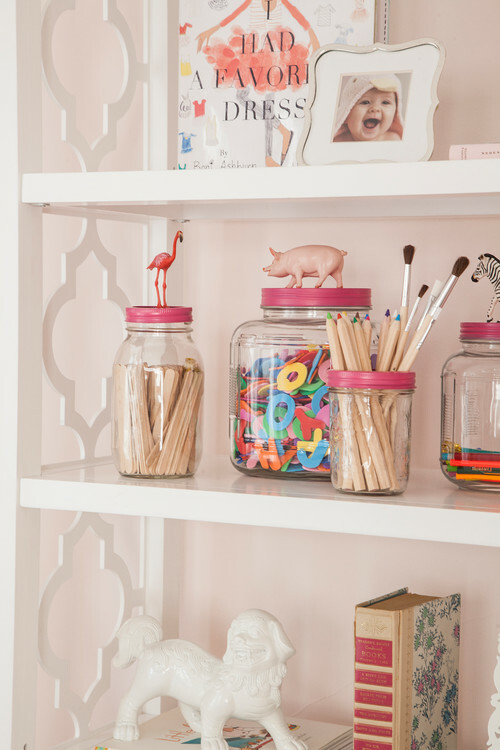 Glass jars are useful for storing all sorts of small items, but they can look very boring indeed. Change all that and add a quirky element with some plastic children’s toys. Pick farm animals, creatures from the zoo or different types of dinosaur – the choice is yours. Wash out some used jars and stick the animal in place on the lid with strong glue. Once the glue is dry, place the lids on cardboard and use brightly coloured spray paint to coat them. Leave the lids to dry thoroughly before screwing them back on. The huge plastic bins that sit outside our homes aren’t the most attractive of objects. To minimise their impact, get them a screen or house of their own. You can buy nice wooden storage huts that have lids that lift for easy day-to-day access. On collection day, unlatch the front to roll the bin out. They can be painted in a muted garden colour for a high-end look. Alternatively, a simple wicker or rattan screen that will disguise what’s behind can be erected easily. 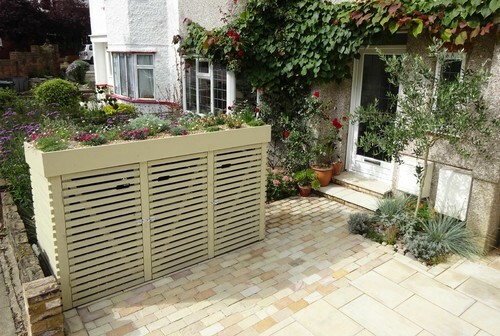 An L shape of trellis against a wall can also be used to create a little room for the bins. If you plant a flowering creeper, such as a clematis, next to it, you’ll soon have a pretty wall of flowers, which gives a far nicer view than a slab of plastic. Most of us are guilty of allowing piles of paperwork and belongings to gather in our home. If you have places to store each individually, you’re more likely to put things away. 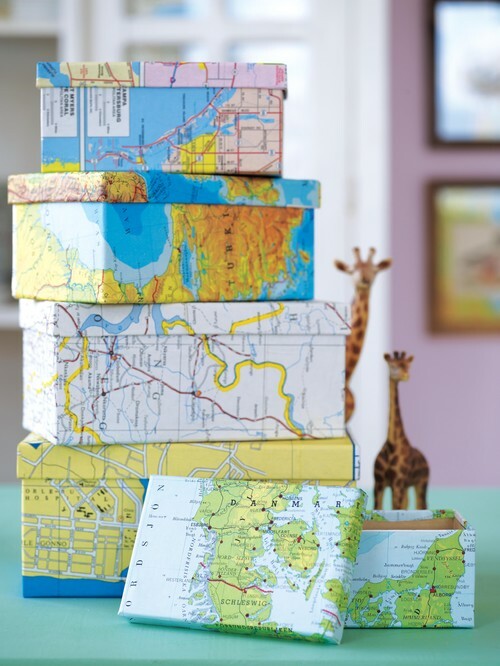 Change an old shoebox into a storage solution that’s good-looking enough to have on display by covering it with some patterned paper. Here, the homeowner has used a map; old ones can often be picked up cheaply at charity shops. Alternatively, there are some really pretty wrapping papers around. You can add a sticky label so the content title is visible and display it on a shelf or bookcase so you can tidy up as you go. Organising recycling is important for us all, but the big plastic bins so often used are pretty ugly if on display. Go for something more attractive yet practical instead, so they’re not such an eyesore – it just takes a bit of thought. 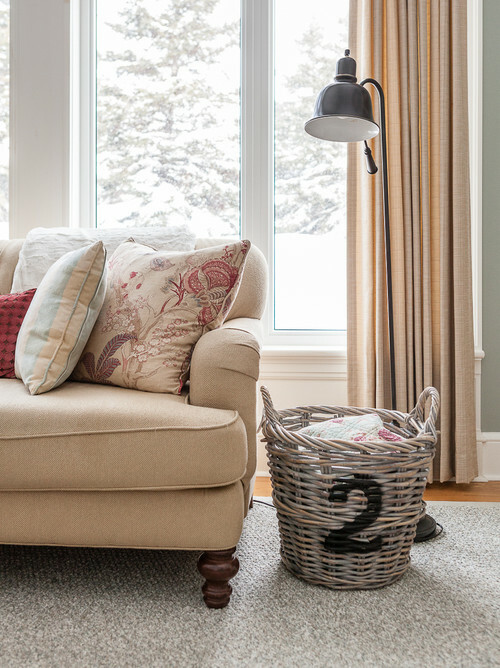 These sacks have a lovely, relaxed charm and will hold loads. Use them for clean plastics or papers rather than anything that could smell. Alternatively, try using chunky wicker baskets instead. 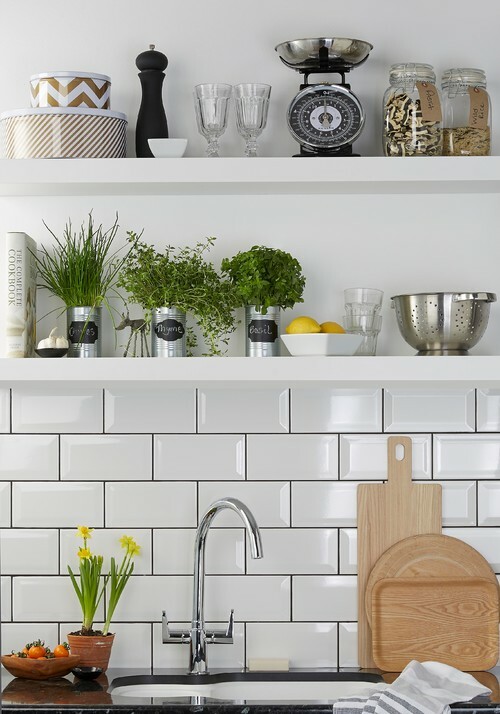 Glass bottles and vases can make a lovely display, and work well as a quirky place to hang jewellery. Arm yourself with a can of spray paint and coat a mismatched group with a few layers so they’re transformed into a beautiful, coordinated collection. It doesn’t matter if they’re different shapes and styles, the single colour will tie them all together as a group. Tip When you’re spray-painting, start with the bottles upside down (or hung on garden canes), and remember that several thin coats are better than one or two thick coats, as the thicker paint may well dribble. When we buy fresh growing herbs, they’re always in little plastic pots. Rather than leave them like that, pop them into a clean tin can. Include some gravel, or punch holes in the bottom for drainage. Add a blackboard sticker with the herb name written on it, or tie on a brown label with twine. Keep them on your kitchen windowsill or shelf, where they will look lovely. Another idea is to put the plants in old teacups – often available in charity shops – but again be aware of drainage. You can overcome this by either being sure not to overwater, or by very carefully drilling holes in the bottom. Toilet rolls are necessary, of course, but the open plastic bags that sit next to our loos are far from attractive. Why not give them a special place to live? 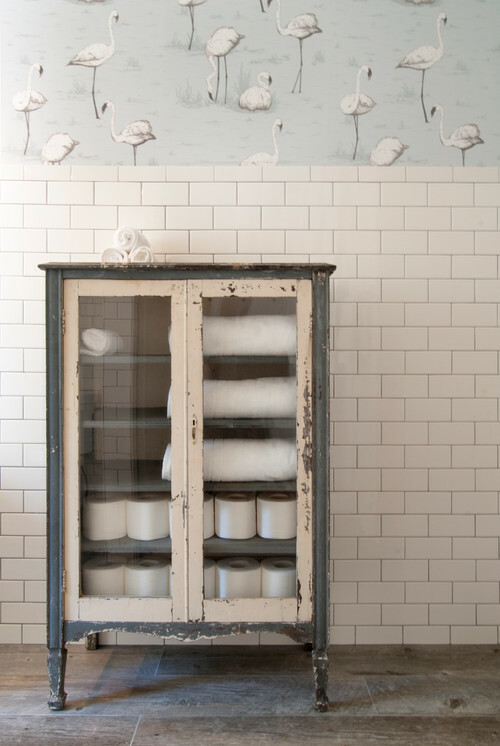 There’s something smile-inducing about a lowly loo roll in a beautiful cabinet. It’s unusual and unexpected and that’s what makes it rather fab. If you don’t have space for this, how about a glass-fronted wall cabinet instead? If your house has an ugly staircase, it can be a daunting and expensive job to replace it. While you save up to get the job done, give it a temporary lift. Start by rubbing the paint or varnish with sandpaper, then paint the treads, handrail and top and bottom of each spindle. 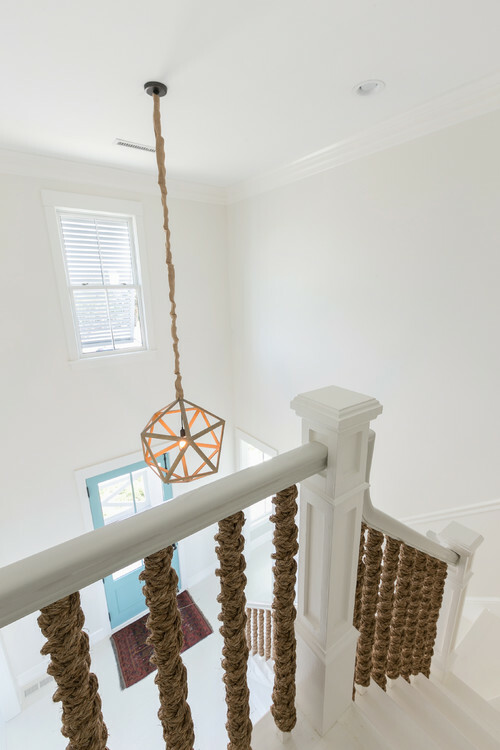 Once dry, tightly wrap rope around the spindles, tucking the ends under so they don’t fray. Use a hot glue gun to keep the rope in place. This gives a completely new look and is a great way to cover up decorative carved spindles if they’re not to your taste. Tip If you need to get up and down the stairs while the paint is drying, paint alternate treads first, then do the remaining ones when the first lot are dry. Big baskets are useful around the home for storing shoes, kids’ school bags, blankets or logs and can easily be made to look more interesting. Turn an empty basket on its side to make working easier, then paint a number using craft paint. If you’re concerned about painting freehand, print out the number from a computer, cut it out, then use it as a template. Another idea is to create a row of baskets on a shelf or under a bench with initials for each member of the family. This should help keep things tidy and organised.